Motivation is the engine of companies. The organizations need their employees to contribute the maximum of themselves, but the majority does not manage to stimulate in an ideal way. A possible solution to these problems it might be gamification. This tool manages to improve the performance of the people by applying technologies of game, stimulates them to take part in a dynamic and proactive way. How does it work? Gamification applies behavior-motivating techniques from traditional and social games to non-game environments. An effective gamification program actually looks more like a loyalty program to help achieve real business goals when it is expanded beyond points, badges and leaderboards. The motivation, the engagement, the happiness and the good results might be 4 principal benefits of this technology; but the application has infinite positive consequences. Advantage of application of gamification in the area of human resources, due to two principal factors: on the one hand, the benefits that the tool can contribute in the organizations and, on the other hand, the involvement of personnel that is joining the companies, which it is principally of the generation millennial, which is characterized by the need of intrinsic motivators and by their passion towards the games. With respect to mobile usage and apps, last year alone, consumers purchased roughly a billion smartphones. Why not take advantage of that? Imagine putting simple tasks like vacation requests or expense reports onto a person’s mobile device to be quickly handled the same way people handle their personal calendars or online banking? As executives feel the mounting frustration with outdated processes, there’s growing pressure to change – to develop tools that can make work processes faster, easier, and more engaging Towers Watson has projected that 36% of organizations will make structural, technology-based changes to HR in the next few years. 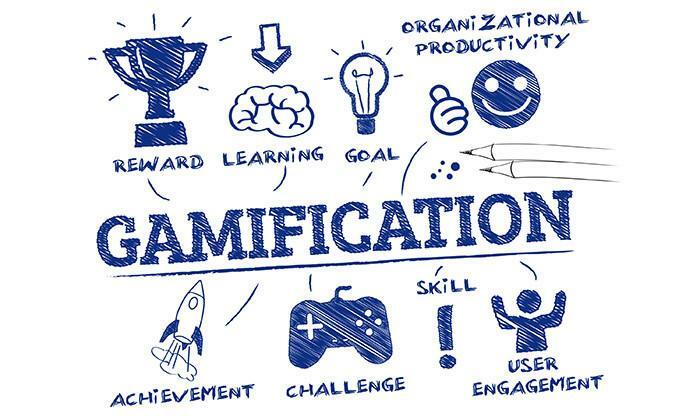 Organizations can use gamification to promote a positive corporate culture by rewarding employees for cross-departmental collaboration, providing process or product improvement suggestions, or even participating in company-wide volunteer programs. You can use a gamified platform to track activities and opportunities, and showcase employee participation to their coworkers to provide intrinsic motivation. These developments are also not just technical IT issues. They empower employees in areas that are now strictly the domain of HR. Implementing these apps will have direct consequences for the current ways of working in organization. Policies and processes will need to be reviewed and changed to be able to leverage these new and exciting innovations. Artificial intelligence, big data, chatbots and game-based learning suggest that technology will play an increasingly prominent role in management and decision-making where human resources is concerned. Every day more companies add to the gamificated world applying this tool in areas like the sales, the human resources, the product design and, even accounting. Now that it is revealed what is gamification and how useful it is, we are going to analyze the possibilities that this tool offers in the area of human resources through examples. Recruitment and selection – Multipoly: It is a simulator of recruitment and selection who created the multinational of accounting and consultancy PricewaterhouseCoopers in which the candidates take part in a virtual world as if they were employed at the company for one year. Really, the game lasts 12 days and consists of the fact that every participant has a concrete mission and earns points depending on his achievements. Finally, the players who manage to overcome more tasks similar to those that they would have to perform in real life, are selected. Training – Deloitte created a program online to train to their own employees called Deloitte Leadership Academy, in which about 20.000 executives take part. The tool consists of including medals, boards of classification and missions in a simple and intuitive platform with formative contents that they must overcome to reach the aims. Performance evaluation – Apps through cloud-based employee performance and learning management system. The system also offers customized development plans and learning content to help develop and retain talent. The apps provides access to a wide variety of professional training and compliance courses and allows employees to add and publish content including videos, documents, and presentations. App’s dashboards, reports, and graphs allow users to review data and identify top performers, under performers, skill gaps, support compensation and succession planning efforts. Career management – Linkedin is a gamificated tool for the development of careers that helps to change behaviors and to update and share information in the network. The tool consists of the fact that every member of Linkedin has a profile of which there takes form the information that every user provides. We at Employwise help you with such initiatives in becoming an evolved and vibrant work place by providing functional information.